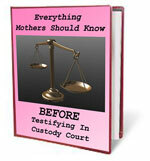 CHILD CUSTODY PUBLICATIONS ON THE INTERNET! There is a new 15 to 17 page report for each of the 50 states and DC. 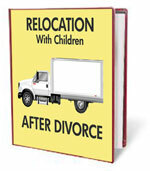 All State Laws concerning: (1) CUSTODY, (2) VISITATION, and (3) CHILD SUPPORT are covered. There is no complicated legal language. 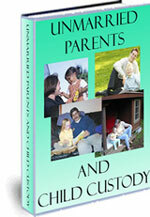 Everything is written clearly and concisely for men and women involved in child custody issues. Each Report discusses the State Laws, with emphasis on how these laws pertain to you. “Frequently Asked Questions” are included for each section---these are answers to questions from men and women just like you. AVAILABLE: All 50 states and DC. 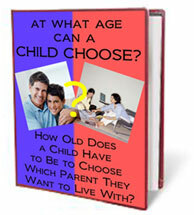 AT WHAT AGE CAN A CHILD CHOOSE? This is the state-of-the-art discussion of the question: "When can a child (under 18 years of age) make the decision as to whether he/she will live with Mom or Dad? This is the largest, most current, and most complete volume of information ever compiled! This publication will answer EVERY question that you have on the subject! Dr. Barry Bricklin and Dr. Gail Elliot, two of the country’s most famous and respected child custody experts, have developed a unique program that gives men or women the best chance of winning a favorable custody arrangement. Their program will also keep their custody plan from being destroyed as their ex tries to “chip away” and modify it. Fathers have been given specific rights by family courts in every state. 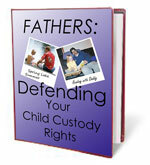 This publication has been developed to help you defend your custody rights when: ~Someone attempts to take your children away or ~Someone interferes with specific custody or visitation rights that you have already been given by the court system. 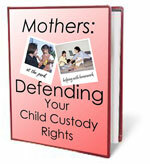 Mothers have been given specific rights by family courts in every state. 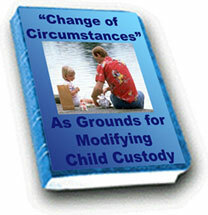 This publication has been developed to help you defend your custody rights when: ~Someone attempts to take your children away or ~Someone interferes with specific custody or visitation rights that you have already been given by the court system. is a totally integrated publication that guides Fathers every step of the way as they seek to gain custody or visitation of their children. This is an entirely unique publication. 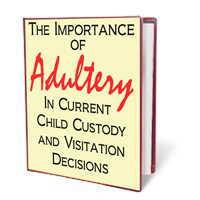 It contains information from Dr. Barry Bricklin and Dr. Gail Elliot, two nationally-known and respected Child Custody Experts, who have been given access to those private "inner circle" areas of the judicial process that ultimately decides the fate of your Children. THIS PUBLICATION HAS BEEN PRAISED BY FATHERS FOR MAKING THE DIFFERENCE BETWEEN SUCCESS AND FAILURE! is a totally integrated publication that guides Mothers every step of the way as they seek to gain custody or visitation of their children. This is an entirely unique publication. It contains information from Dr. Barry Bricklin and Dr. Gail Elliot, two nationally-known and respected Child Custody Experts, who have been given access to those private "inner circle" areas of the judicial process that ultimately decides the fate of your Children. THIS PUBLICATION HAS BEEN PRAISED BY MOTHERS FOR MAKING THE DIFFERENCE BETWEEN SUCCESS AND FAILURE! Provides the Legal Forms for all 50 states and DC. Shows you EXACTLY how to fill out the forms and to file the Legal Forms YOURSELF. There is full information about how to represent yourself in court. 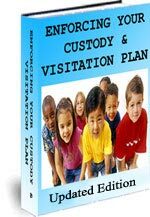 1000’s and 1000’s of mothers and fathers have used these forms to modify their custody and visitation plans without using a lawyer. 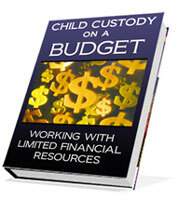 This Publication contains almost 1000 pages and almost 10,000 specific resources that will help you defend your Child Custody Rights while spending little or no money! Every state plus D.C is represented by these wonderful resources! YOUR PURCHASE OF THIS PUBLICATION GIVES YOU 24/7 PASSWORD-PROTECTED ACCESS TO THE SITE FOR A FULL YEAR! COME BACK AGAIN AND AGAIN AS THE SITE IS CONTINUALLY UPDATED WITH ADDITIONAL RESOURCES AND HELP! Also discusses: extra-marital sexual misconduct, “friendly parent doctrine,” (caregiving parent, religion, judicial bias, “psychological parent doctrine,” mothers vs. fathers bias, many more. 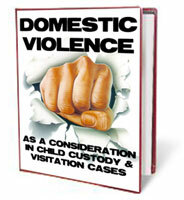 Every item that can be considered by a family court judge is discussed! 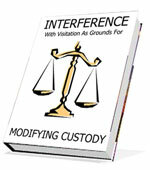 This publication is invaluable if you are trying to get custody or modify a custody order. NOW! 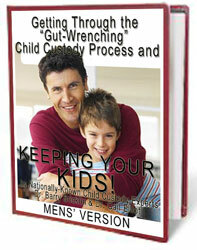 THE This information has helped over 100,000 parents since 1988 do their best in their child custody case! INCLUDES: 14 key Strategies that can definitely help your case. How to deal with 7 strategies that could be used to damage your position. 4 strategies that can be effective when a child has been bribed or manipulated into turning against you. ARE YOU HAVING DIFFICULTIES VISITING WITH YOUR GRANDCHILDREN? DO YOU HAVE A GRANDCHILD WHO IS BEING TREATED POORLY OR EVEN ABUSED? 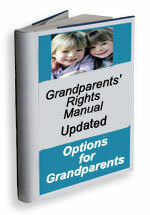 DO YOU KNOW WHAT YOUR LEGAL RIGHTS ARE AS GRANDPARENTS? 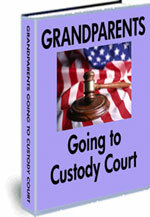 THIS IS THE ULTIMATE PACKAGE OF INFORMATION FOR GRANDPARENTS INVOLVED (OR TO BE INVOLVED) IN A CHILD CUSTODY DISPUTE. YOUR EVERY QUESTION IS ANSWERED! The LEGAL FORMS are included. A TOTALLY INTEGRATED PUBLICATION, HELPING GRANDPARENTS WITH: THEIR DECISION TO GO TO COURT TO ASSERT THEIR RIGHTS FOR VISITATION OR CUSTODY. 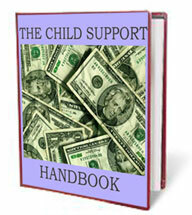 WHAT CONSTITUTES EMANCIPATION AND RELEASES A PARENT FROM A CHILD SUPPORT OBLIGATION? THE MOST-COMPLETE VOLUME OF INFORMATION ON EMANCIPATION EVER OFFERED. INFORMATION ON EVERY STATE AND DC! EMANCIPATION LEGAL FORMS ARE NOW AT THIS SITE! 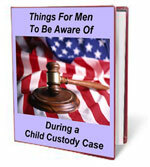 There are many items to think about and consider as you prepare to get involved, or re-involved, in any custody dispute. This list will help you better organize these items. If you energetically follow the Checklist you will significantly help your case! Dr. Bricklin and Dr. Elliot want you to have this important checklist so we’ve put it at the bottom of this site---it’s yours WITHOUT COST! 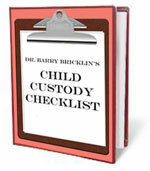 By nationally-known and respected child custody experts, Dr. Barry Bricklin and Dr. Gail Elliot. MEN AND WOMEN ARE TREATED DIFFERENTLY DURING CHILD CUSTODY COURT CASES AND IT IS EXTREMELY IMPORTANT TO BE IN A POSITION TO COUNTERACT THESE JUDICIAL BIASES. THIS REPORT HAS BEEN WRITTEN SPECIFICALLY FOR MEN! 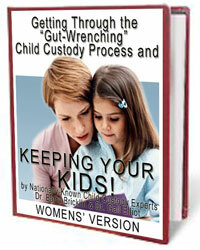 By nationally-known and respected child custody experts, Dr. Barry Bricklin and Dr. Gail Elliot. MEN AND WOMEN ARE TREATED DIFFERENTLY DURING CHILD CUSTODY COURT CASES AND IT IS EXTREMELY IMPORTANT TO BE IN A POSITION TO COUNTERACT THESE JUDICIAL BIASES. THIS REPORT HAS BEEN WRITTEN SPECIFICALLY FOR WOMEN! Once you slip on a wedding ring, the law has you covered-- most state statutes outline rights and responsibilities for married couples. Few comparable statutes exist to guide the unmarried. 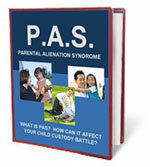 As an unmarried parent, (alone or with a partner) you have a bit more work to find out: ~ Who has custody of the child? ~ What are your legal rights as a parent? ~ How to enforce those rights? ~ What are your responsibilities as a parent? This Publication covers EVERYTHING you need to know about having children while not being married. "What good is it to have court-ordered custody and visitation rights if they are always being interfered with by your ex? 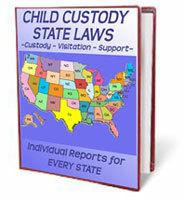 "THERE ARE LEGAL PROCESSES AVAILABLE IN ALL 50 STATES THAT WILL HELP DEFEND YOUR CUSTODY AND VISITATION RIGHTS! Learn what they are and how you can use them! "It's time for your ex to do what the court says!" A Parenting Agreement (also called a Parenting Plan) is a written statement of how the needs of your children are going to be met after divorce. Parenting Plans cover EVERY important area of a child’s life. Each item that should be included is discussed, PLUS our editors have developed a detailed “fill-in-the-blanks” Parenting Agreement that is ready for you to use. There are 330 total pages, divided into eleven different sections, that can be viewed and printed individually. You will not be rushed--- you will be able to return to the Download Site over and over to view or print the information as you need it (including any new information that is added). 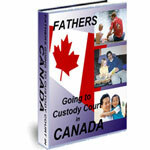 THIS PUBLICATION IS DIVIDED INTO THREE CHAPTERS: (1) Everything You Need To Know About Child Custody and Child Support In Canada (2) Specific Help For MEN or WOMEN Involved in a Child Custody Case (3) Custody Cases and Legal Summaries In Canada. There are many items to think about and consider as you prepare to get involved, or re-involved, in any custody dispute. This list will help you better organize these items. It has been prepared using all of the training and experience of our 35 years in the field as Custody Evaluators, Expert Witnesses, Authors, and Consultants in Custody Cases all over the United States. Make a list by subject of the important things you have not told your lawyer. You don't want any surprises in court. List arrests, bankruptcy, affairs, fights--everything! ~~Dr. Bricklin is a psychologist in private practice. He is an Adjunct Associate Professor at Widener University and has previously served on the faculty of Jefferson University and of Hahnneman University. He has served as a consultant in psychology to the Walter Reed Army Hospital Research Center, to the United States Army, to the New York Academy of Medicine, and to the Columbia Broadcasting System. ~~He is past president of the Philadelphia Society for Personality Assessment and the Philadelphia Society of Clinical Psychologists. He has authored books and articles on prognosis in schizophrenia, marital compatibility, epilepsy, the psychology of affiliation, predicting violence and aggression, diet techniques, role-play techniques, hypnosis in surgery, the intercultural use of the Rorschach test, and, of course, custody evaluations. ~~Among the results of his cooperative ventures with his wife Dr. Patricia M. Bricklin are numerous articles and three books. Two of their books have been best sellers, Bright Child-Poor Grades: The Psychology of Underachievement, and Strong Family-Strong Child. ~~Dr. Bricklin created the original scoring scheme for the Hand Test, and co-authored, with Dr. Zygmunt A. Pietrowski, several articles on prognostic criteria for persons suffering from schizophrenia. ~~For over 25 years, Dr. Bricklin has developed various data-based approaches to the decisions which must be made when parents divorce. ~~Dr. 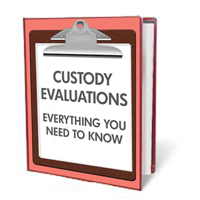 Bricklin's book, The Custody Evaluation Handbook is published by Brunner/Mazel and is currently in wide-spread use by mental health professionals in the United States and Canada. ~~Dr. Bricklin is presently Chair of the Executive Operating Committee of the Professional Academy of Custody Evaluators (PACE). ~~ Dr. Elliot is Head, Child Development and Family Processes Research, Bricklin Associates, the Vice Chair of the Professional Academy of Custody Evaluators and a psychologist in private practice. She has served as a consultant to public and private schools and coordinated multidisciplinary treatment plans. 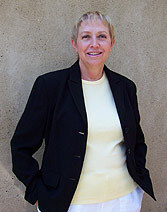 She was responsible for devising for Bricklin Associates an information-processing oriented educational therapy technique and a comprehensive college entrance service for children with serious motivational problems and low self-esteem problems.